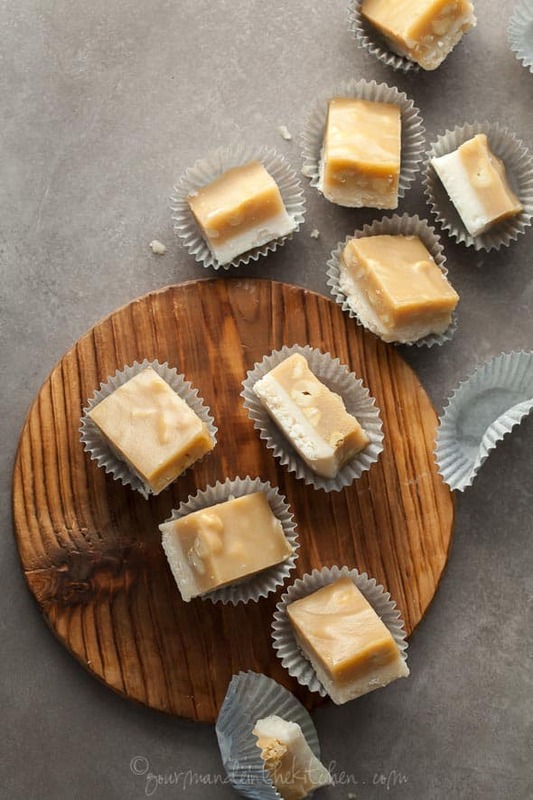 A rich, double layered maple fudge studded with cashews that’s made in minutes. 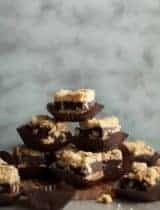 I considered waiting until closer to the holidays to share these maple cashew coconut fudge squares with you, but they are too good to not start enjoying right now. 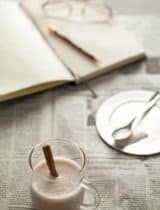 Plus they are ridiculously easy to make, and unlike traditional fudge don’t require any candy thermometers or time on the stovetop. 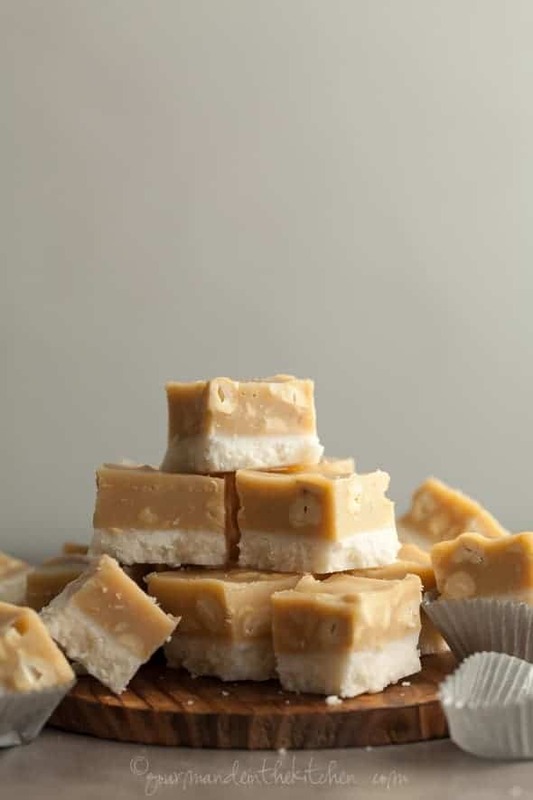 The squares have a great creamy texture that’s accented by chunks of cashews, a pinch of salt and the sweetness of real maple syrup. 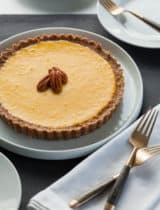 They have a lot going for them any time of year, but the maple flavor is particularly well suited for the holiday season. They’re also the definition of unfussy, requiring only a slight bit of patience for them to set up. Simply combine and stir, then pour the layers into a dish and freeze until firm. That’s all there is to it. 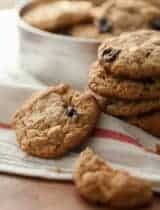 You can stir up a batch in the morning in minutes for an afternoon or after dinner treat. Did I mention that they melt in your mouth? The soft and creamy maple cashew layer gives way to the firmer base filled with shreds of coconut. 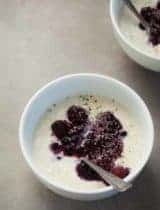 Sweet, creamy and delicious, this is the kind of recipe you’ll want to have on hand for either everyday snacking or offering to guests. A rich double layered maple fudge studded with cashews that’s made in minutes. Line a 9-by-5-inch loaf pan with parchment paper. Place the coconut butter, coconut oil and maple syrup in a heat-proof bowl set over a larger bowl of hot water and stir until thoroughly combined. Stir in the shredded coconut. Transfer the mixture to the prepared pan. Smooth the base evenly in the pan with the back of a spoon. Set in freezer to firm while you make the cashew layer. Place the cashew, butter, coconut butter, maple syrup, vanilla extract and salt in a heat-proof bowl set over a larger bowl of hot water and stir until thoroughly combined. Stir in the chopped cashews. Carefully spread the cashew evenly on top of the chilled coconut base with the back of a spoon. Cover loosely and place in fridge to firm for at least an hour or the freezer for about 20 minutes. Lift the parchment from the pan, transfer to a cutting board and cut into squares to serve. Leftovers can be stored in the fridge in an airtight container. These look delicious! So lovely to set out for the holidays! Dear Sylvie, this New England girl loves anything with pure maple syrup. The fudge looks so rich and decadent! 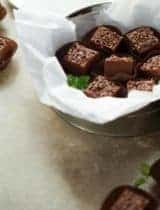 We will definitely be trying your fudge recipe in NH!!! Oh but I need THIS!!! this will be perfect for my girls for Halloween! Thank you! Sylvie, these fudge squares look absolutely delectable. I can imagine that it would be dangerous for me to have these lying around in the kitchen! Wow! This looks amazing!!! 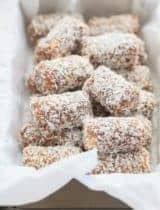 Being dairy free makes finding delicious treats sometimes hard, but these look great. And what a great Christmas gift these would make also! Whoa! These sound and look amazing! Pinned. Love how easy this recipe is and the flavor! 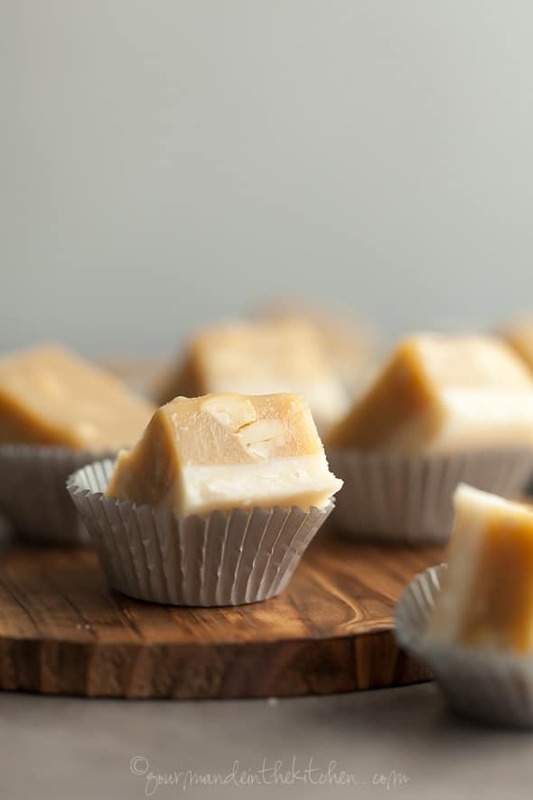 I've never had maple fudge - I bet it's sooooo good! This fudge looks so decadent. I just want to eat them all! Also, your photos are beautiful! I love the shadows and your lighting. I'd love for you to link this post up to Savoring Saturdays. It goes live Friday at 7pm ET and is all about gluten-free and real food. 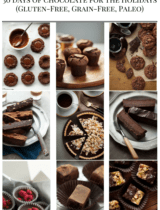 These squares look divine, the maple cashew flavors paired with coconut sounds dreamy! These look absolutely gorgeous, I love that double layer effect and the photos are just perfect.